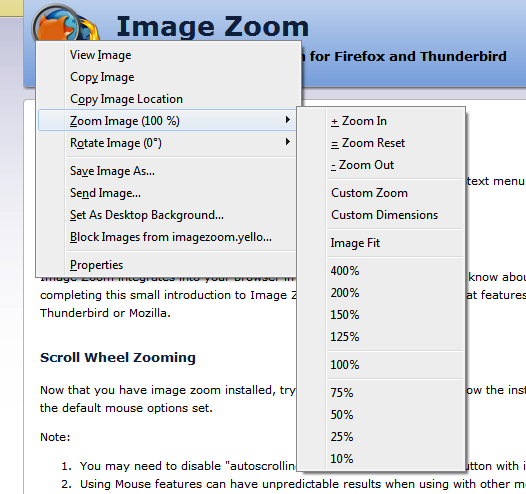 If you have ever had an image that was too large to fit on your screen or too small to see the finer detail in your browser or email, then image zoom can help. 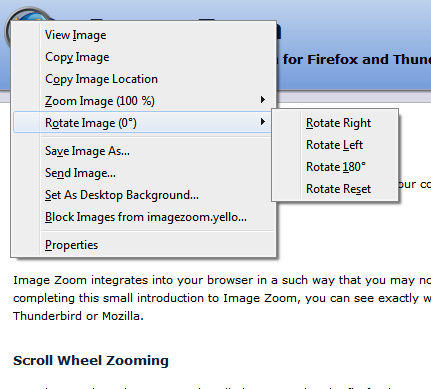 Image zoom gives you complete control of the size of most images displayed in mozilla based software. 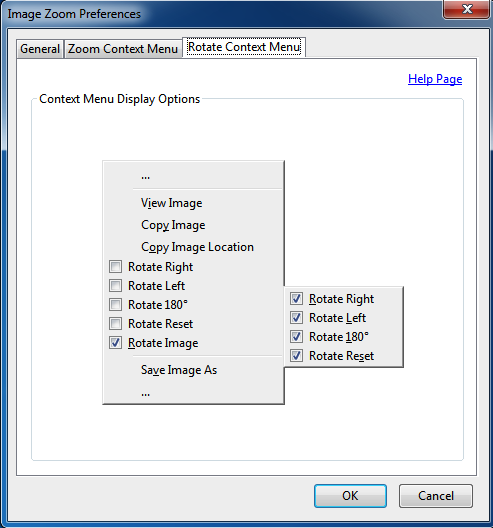 Both individual images or whole pages of images can be zoomed. 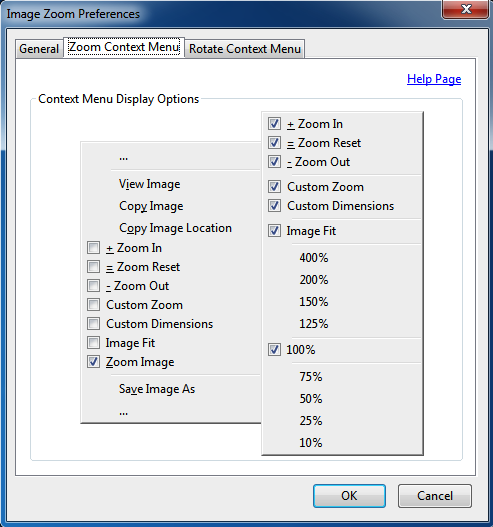 added show zoom value in context menu of currently zoomed image. Changed "Zoom with Text" command key for english locale to be \ instead of Z. This was conflicting with the "undo" command key. 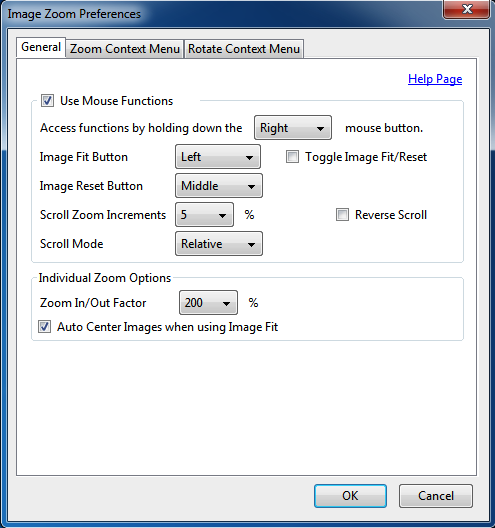 New Feature (Hidden in this version): Added two new scroll zoom modes available in about:config as "imagezoom.scrollZoomMode"
Bugfix: RMB+Scroll Zooming more compatible with other extensions. Adjusted internals for the Image Fit Function to display better.